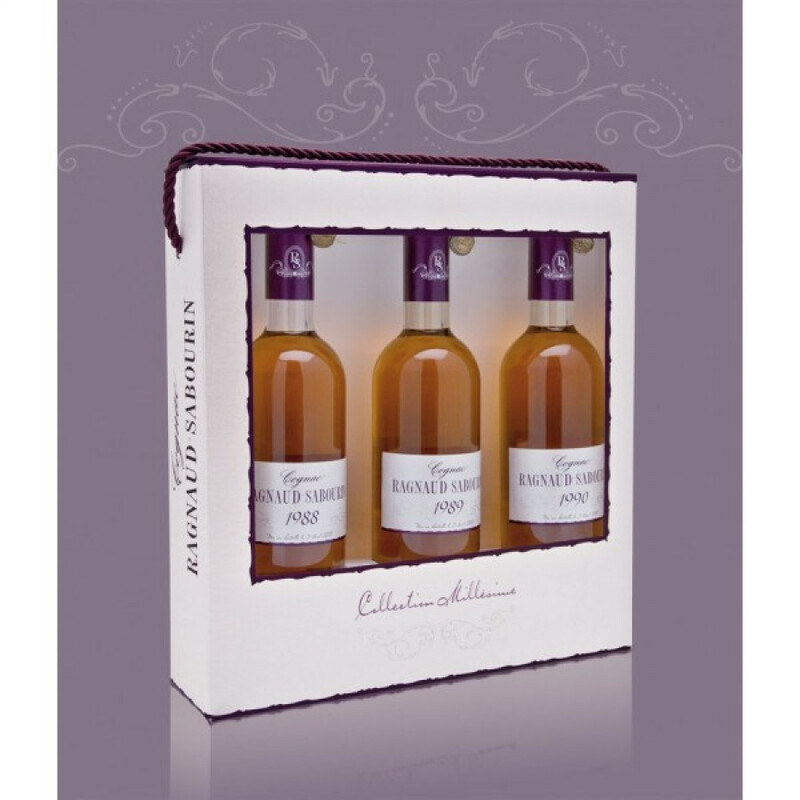 Ragnaud Sabourin Vintages Millésime Gift Set consists of three 20cl bottles of the years 1988, 1989 and 1990; all Grande Champagne cognacs. In total that's 60cl. A nice selection and collection of vintage cognacs, a good cognac gift.